Earliest records of the Society show that it existed as choir and orchestra prior to 1929 when there is the first written evidence of a concert having taken place. 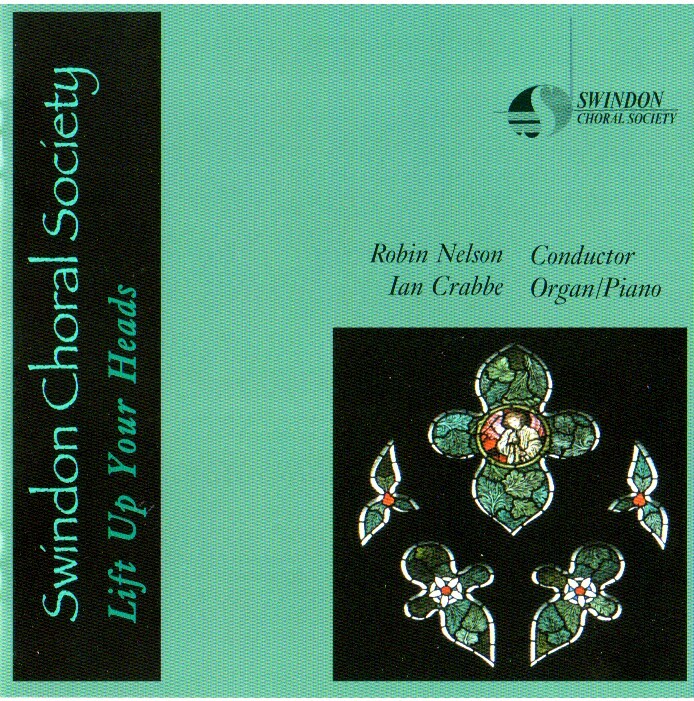 In 1948 its name was changed to Swindon Musical Society and in 1985 the orchestra parted company from the singing group, with the choir becoming Swindon Choral Society under the directorship of Nicholas Riddle. In April 1998 Mr Riddle was succeeded by David Truslove who continued as Musical Director until 2002. Bringing with him the experience of a professional chorister, David inspired the choir to take on increasingly complex and challenging works. After an interregnum under the baton of Sir Peter Beale, who led us in a most successful performance of Handel's "Israel in Egypt", Robin Nelson, the recently retired Head of Music at Marlborough College, was appointed as our current Musical Director. In over 80 years of its existence, the Society has performed most of the choral repertoire and many secular works too, the latter including Hiawatha's Wedding Feast and Carmina Burana. We enjoy opportunities to work with other local groups, including Swindon Pegasus Brass who invited us to perform at their rousing Last Night Of The Proms celebration in 2000 at the Wyvern Theatre. Memorable sacred works performed include the Requiems of Brahms, Verdi, Duruflé, Fauré and Mozart; Mendelssohn's Elijah, Haydn's Creation, Handel's Messiah and Elgar's Dream of Gerontius. Mozart's Great Mass in C Minor and Beethoven's Mass in C Major have been complemented by Bernstein's Chichester Psalms and Rossini's Stabat Mater. We have also performed Britten's War Requiem aided by choirs from Germany and the USA, then taking this work to Macon, Georgia USA together with the same two German and American choirs. Most recently we have given exciting performances of Bach's Magnificat and B Minor Mass. 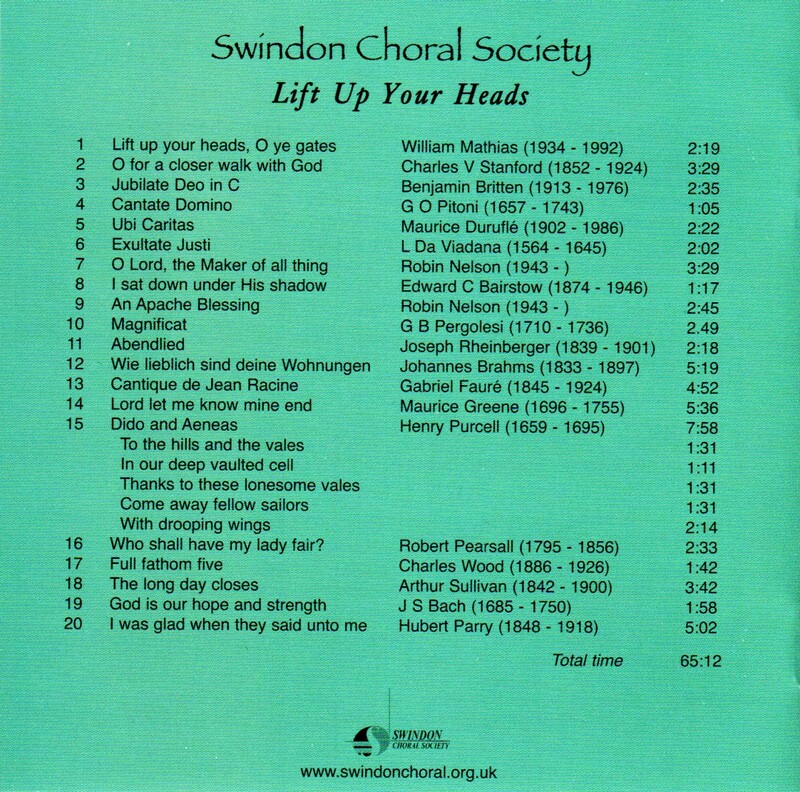 Our most recent CD Lift Up Your Heads, was recorded in Marlborough College Chapel during the summer of 2010. To order your copy please email the Treasurer. The Society has had links with two choirs from Germany, namely St Michaelkirchenchor, Salzgitter, and the Altonaer Singakademie, Hamburg. 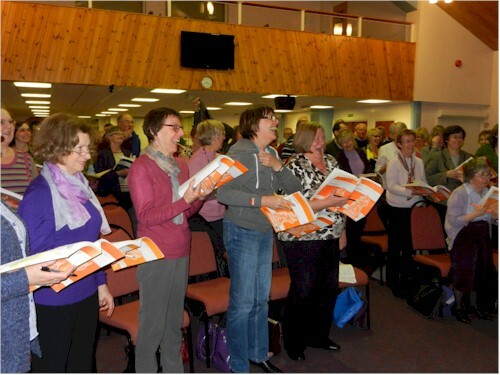 We also, in 1995, exchanged with the Macon Civic Chorale, Georgia, USA to sing Britten's War Requiem in Swindon at the Oasis, and in November in Macon. We are planning to resume the Macon relationship when they join us for a concert at STEAM in Swindon in May,2019.